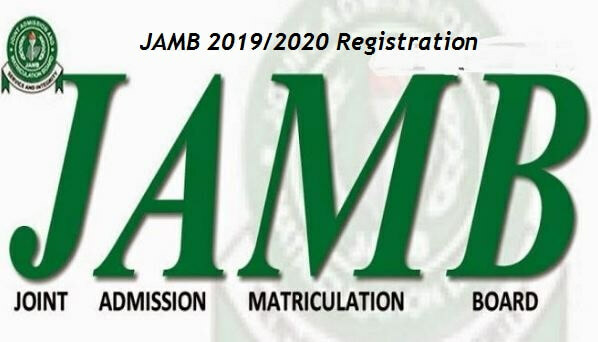 In other to be fully aware of what to expect during JAMB 2019 registration and the procedures for registration, we are going to update you with 2019/2020 registration procedures to help you know how it’s done. While waiting for the official announcement on when to start selling 2018 jamb form it is important for all candidates to create a profile. N/B: Jamb has made it compulsory for candidates to create profile. Without JAMB profile, No Candidates will be able to register for 2019 JAMB as all documents upload are done on JAMB Portal.. It is after creating Jamb profile that you can apply for Jamb and even check your admission status. How To Create JAMB Profile. 1. Is Jamb 2019 Registration Form Out? 2. When Will Jamb 2019 Registration Form Be Released? Jamb 2019 registration form will be out between October 31st 2018 and early December. This is according to the JAMB registrar, Professor Ishaq Oloyede. He said: “We are on with the 2018/2019 admission exercise. This, we started a month ago. We believe by the end of October, we would begin the 2019/2020 admission”. 3. How much Is Jamb 2019 Registration form? Jamb 2018 registration form was #6,200 including the registration fee, the Use of English reading text and the CBT centre charge. The JAMB registrar has insisted that the price for JAMB 2019/2020 form will not be reduced. He said: “Why are they not asking asking WAEC to reduce fee? Why are they not asking NECO? Why JAMB? We charge the least and you are saying reduce”. 4. Where Can I Register For Jamb 2019? Once the registration form is out, you’ll be able to register at Jamb accredited centers nationwide. You are not allowed to register for JAMB 2019 at any cyber cafe. Registration should be done only at CBT accredited centres. 5. When Can I Register For Jamb 2019? Once registration commences, candidates will be informed to register at accredited centers nationwide. The registration will be starting at the end of November or latest December. 6. Do I need Jamb Profile For Jamb 2019 Registration? Of course, you’ll need to create Jamb profile before you can register for Jamb 2019, see how to create Jamb profile here. 7. Can I Use 2018 Jamb Profile For 2019 Jamb Registration? Yes, you are allowed to use the Jamb profile you created for 2018 Jamb registration. 8. Is Jamb 2019 Registration Same Process With 2018 Jamb Registration? The same registration procedure is expected. However, Jamb has promised to tighten security and eliminate possible ways malpractice could occur. 9. When Will Jamb 2019 Examination Start? JAMB 2019 examination date has not been released. We will keep updating this page as new JAMB 2019 updates come in. Don’t forget to bookmark this page and keep checking everyday. If you have any other question about Jamb form 2019 being out or not, feel free to ask by using the comment box below.